Password security is a big concern on social media. You can make your password as complicated as you want, but there's always a risk that someone might hack your account, no matter how many weird and wonderful characters you might incorporate. In the latest security update, Facebook have introduced an option that significantly reduces that risk. Now, you can use any USB key with a U2F, or 'Universal Second Factor' function, as a physical key to go along with your password. It's a more convenient system than an authenticator code, since it doesn't really on you having to check an SMS message or an email, and it also means that anyone trying to break into your account would have to have also stolen the key from you. Hackers aren't usually in any kind of close proximity. This is, of course, only really applicable to desktop browsing. You can use a security key wirelessly if you have one with NFC functionality, but you'll also need an Android phone with Chrome on it. Even with that in mind, it's a welcome addition to Facebook, and has been proven to be effective on Google services and Dropbox. In the past few years, password theft has become a far wider issue, not only for individuals but for large corporations. Even this week, several Twitter accounts linked with the WWE were hacked by OurMine, a hacker group who infamously break into famous accounts to reveal their weaknesses. In this case, OurMine have claimed that all they had to do was break into one WWE account, which linked them to the rest. 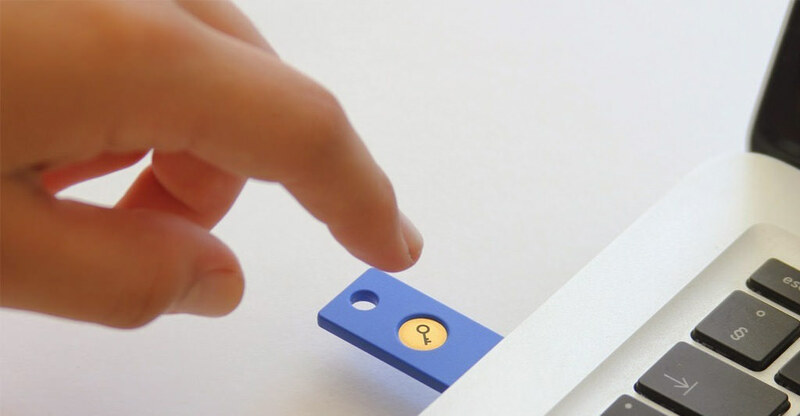 Having something as fast and simple as a security key will hopefully remove a lot of that risk for Facebook users, especially given the fact that security keys usually also boast extra authentication options like one-time passwords. This could be especially useful for anyone who uses Facebook on lots of different computers. Currently, only the most recent version of Chrome and Opera support the feature, but it probably won't be long before other browsers follow suit.